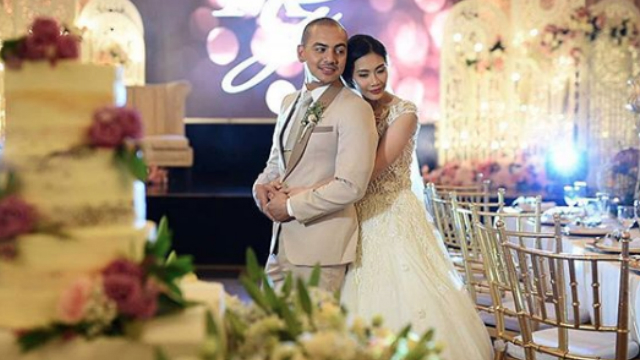 Archie Alemania and Gee Canlas get married a year after their reconciliation. 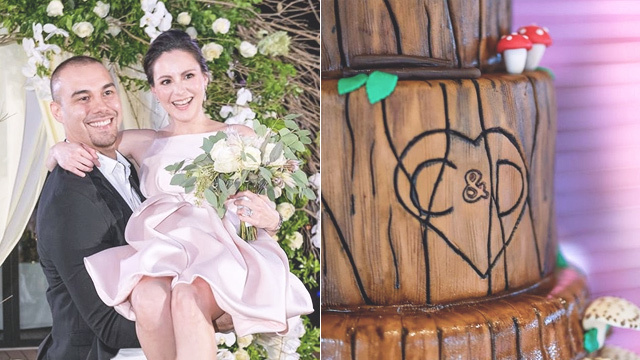 Archie Alemania and Gee Canlas are now married! The two Kapuso stars exchanged I do's in an intimate garden wedding ceremony held at The Monochrome events place in Nuvali, Sta. Rosa, Laguna yesterday, October 27. 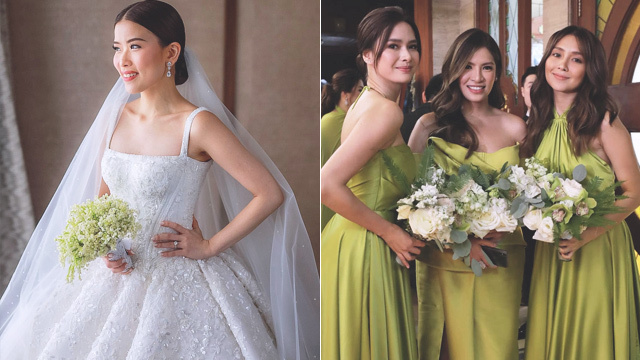 Some of the celebrities who joined them on their big day included Michael V., Juancho Trivino, Mikoy Morales, Chariz Solomon, and Ashley Rivera. 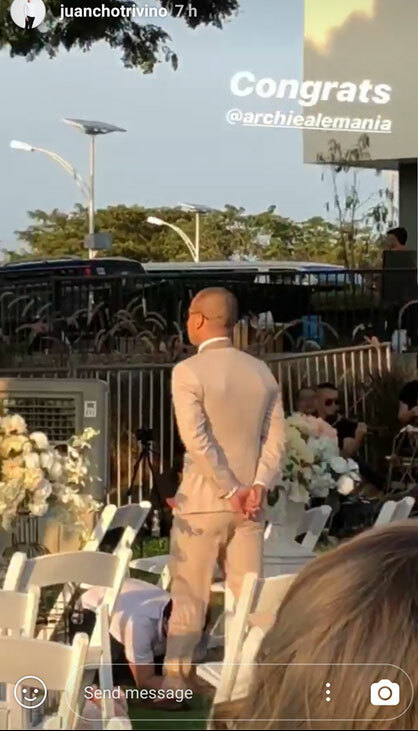 Based on Juancho's Instagram Story, the wedding ceremony started around 4:45 p.m., with instrumental music marking Archie's wedding entrance. 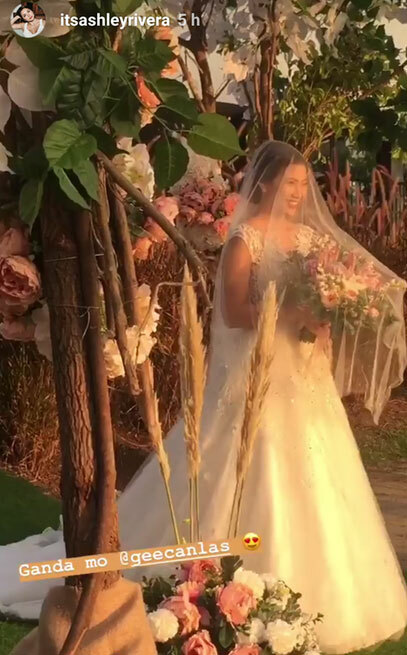 Ashley also posted via Instagram Story a short video of Gee's bridal walk, highlighted by a stirring vocal rendition of "Can't Help Falling In Love." Archie and Gee have been engaged for exactly two months today. It was on August 27 when Archie proposed marriage to her during her taping day for her supposed guest appearance in the now-defunct GMA-7 prime time series Inday Will Always Love You, where Archie was one of the supporting cast members. But in the middle of taping her scene, Gee was surprised to see Archie who went down on his knees and asked her to marry him. They first became a couple sometime in 2011, but ended up breaking up in 2013. Love proved to be lovelier the second time around as they got the chance to get back together last year. Congratulations and best wishes to the newlyweds!